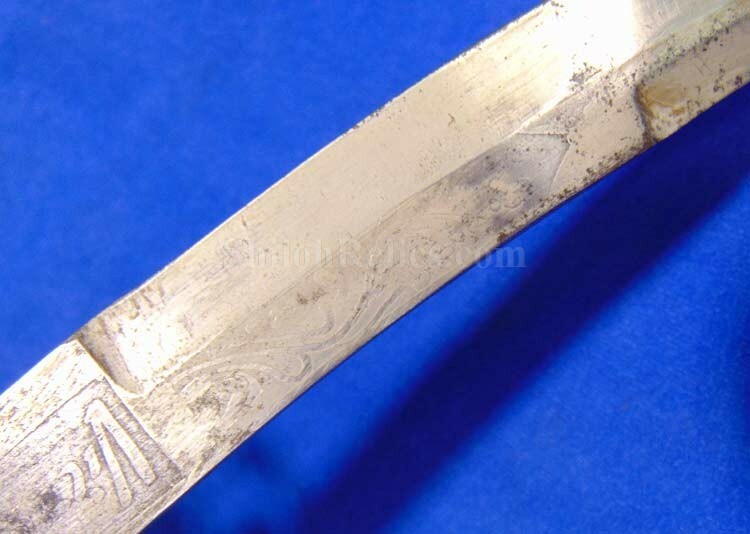 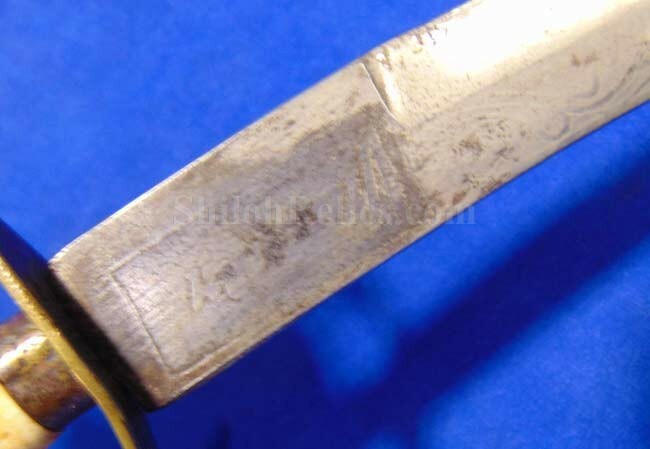 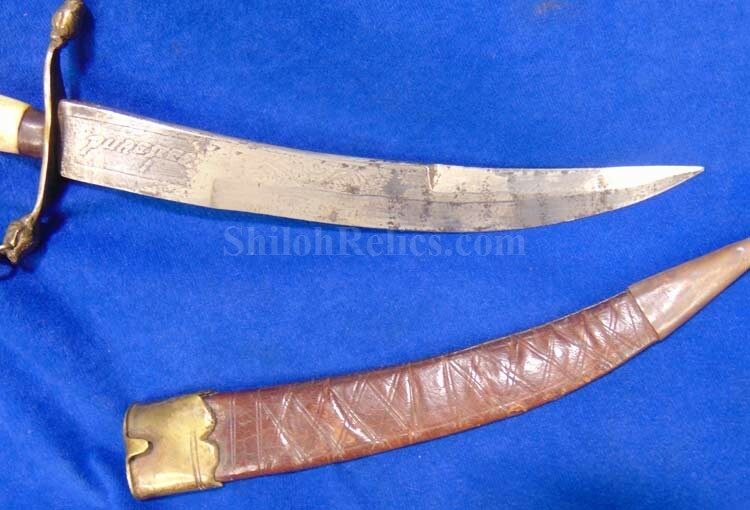 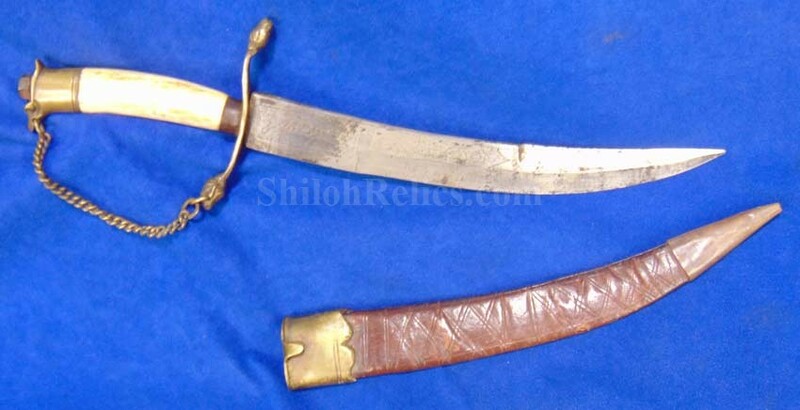 Here is a cool looking dagger style sideknife that will probably date from the late 1800's. 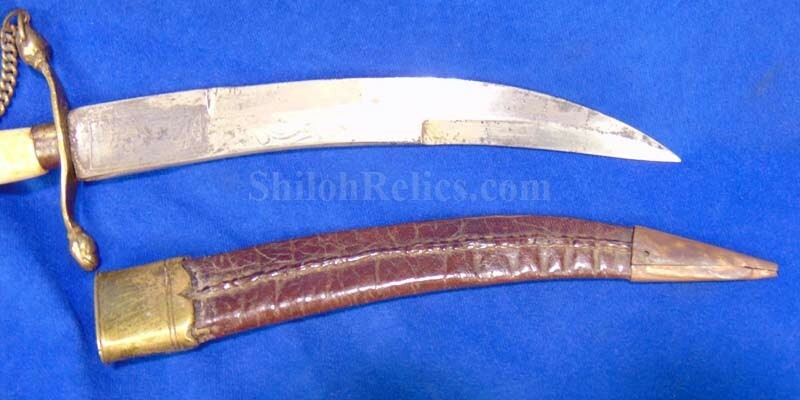 It measures 11-3/4ths inches overall with the blade making up 7-7/8ths of those inches. 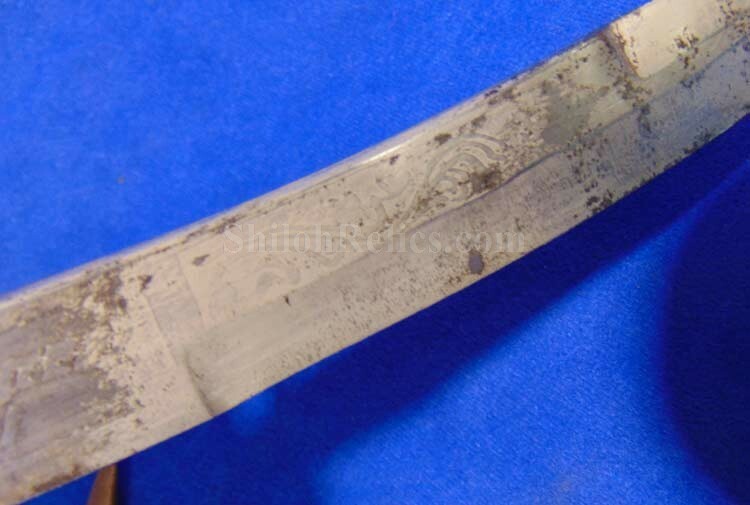 The blade is well made with the remnants of the original etching on each side. 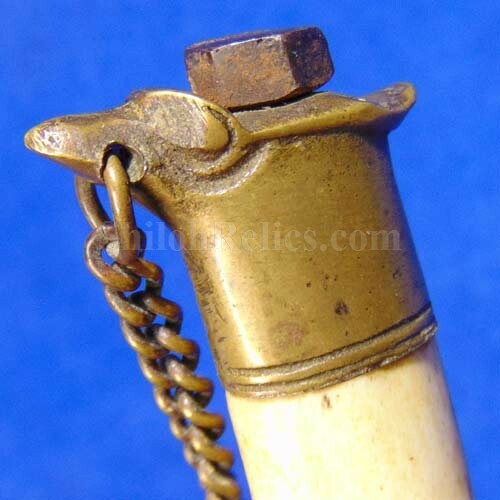 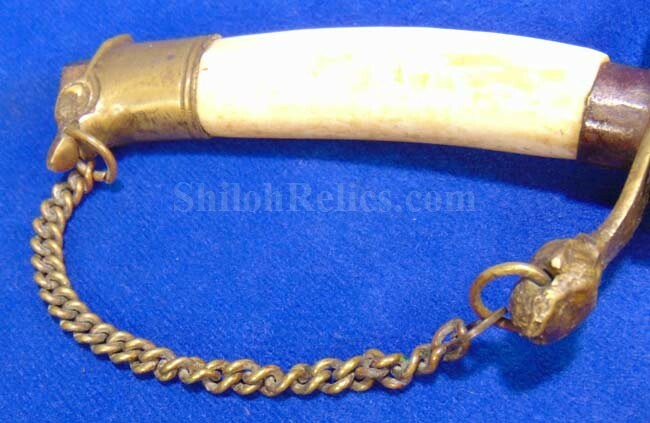 It is designed with the brass crossguard that has the chain that connects to the simple eagle pattern pommel cap. 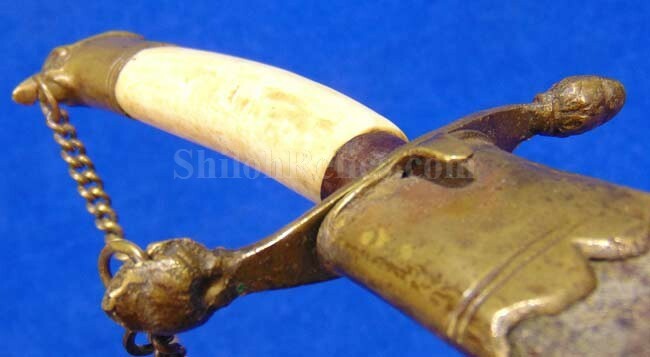 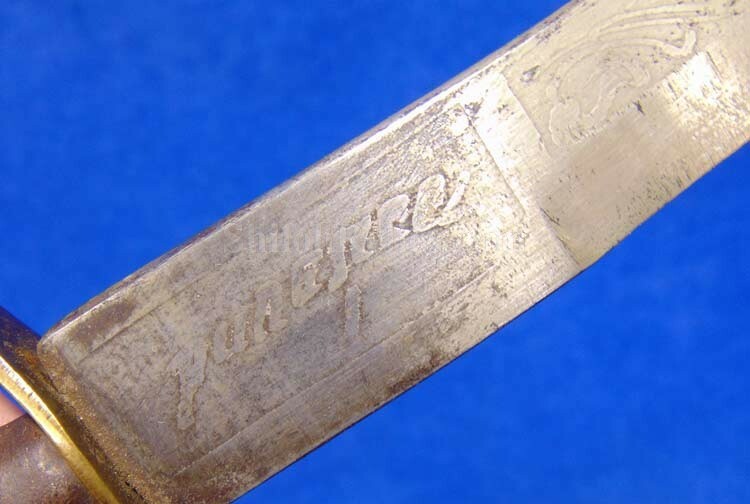 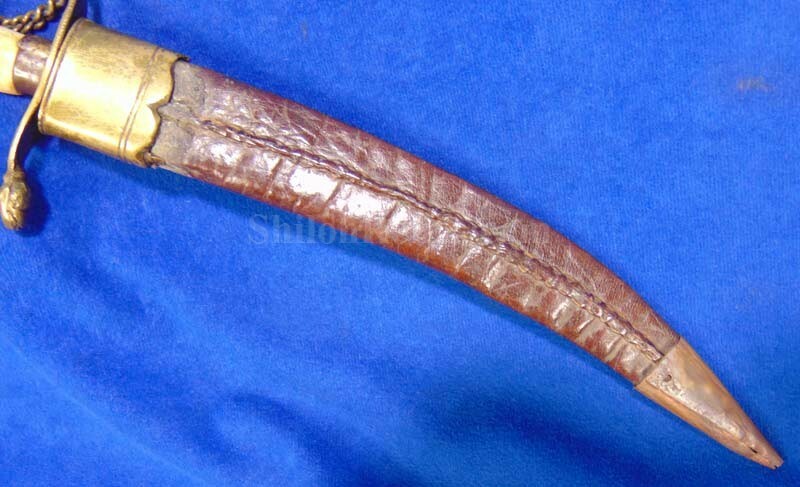 The original bone handle is intact on the grip. 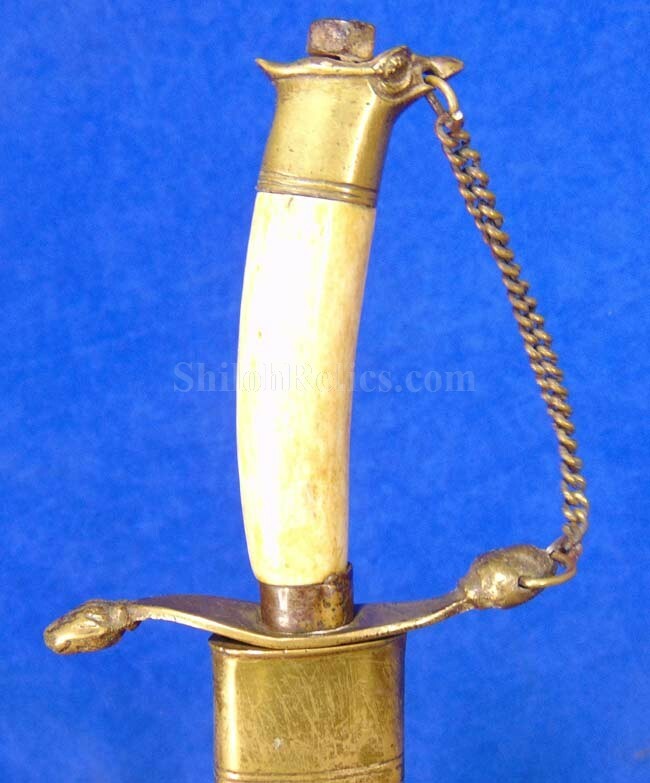 The dagger is accompanied by the original leather and brass sheath that still displays well. 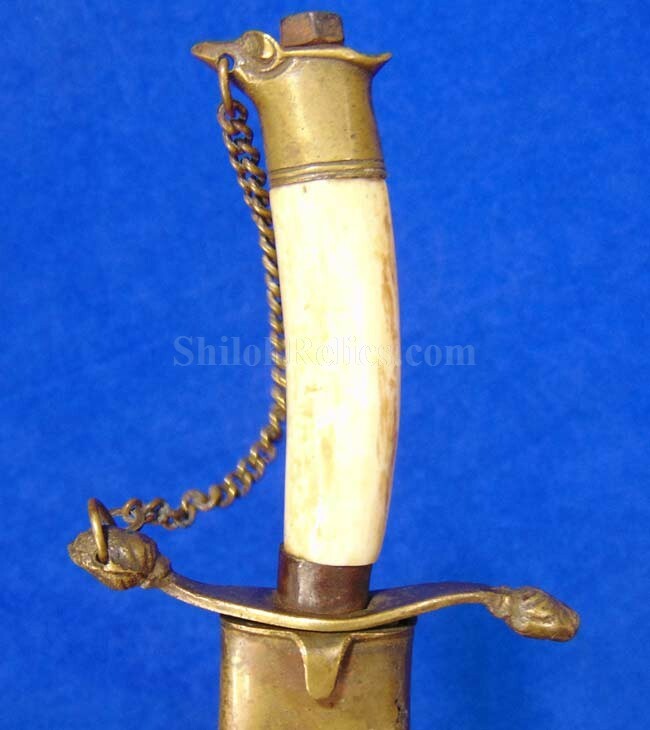 This is a very neat looking little dagger.